The final installment of my conversations with former Animal Care workers Jim Horton, Cynthia Payne, and Krissy Dodge is now up on The Dodo. (Previous conversations are here and here). The young calves would maybe grab your flippers and drag you back. That was kind of fun, though the number one rule was never to react. You didn’t want to reinforce it so we would never react to any behavior. We’d just ignore the animals totally. But Ralph would really mess with you. He’d get in your face and be jaw popping really hard. He’d be 6 inches from your face slamming his mouth shut with 200 pounds of force. It would sound like firecrackers going off underwater. You could tell [he was coming]. He’d start vocalizing really loud, and you’d go ‘Oh lord, Ralph is getting worked up.’ He’d get right in your face and scream and vocalize, really, really loud. Or he’d grab you by the head and pull you around. He’d lay on top of you. We went to give him fluids and Eric began to go into convulsions. His head was shaking involuntarily. All of a sudden he arched his back into what they call the ‘death arch’ and he laid down and stopped breathing. He had no pulse. We thought he had died. Several people left to get ready for the necropsy. I stayed with him. He then started breathing again and I felt a pulse in his neck. The decision was made to euthanize him. But Eric’s body was not taking the poison. Even though it was injected into his heart, he didn’t die. Eric was taken to necropsy anyway. He was hoisted onto the truck, taken to the necropsy room and laid on the floor. He was still breathing. I figured we’d just wait for him to die, but I was wrong. What happened next I will never forget. Since this is the last in the series I want to emphasize that it took courage for Jim, Cynthia, and Krissy to tell their stories, especially because they knew that doing so would provoke criticism and personal attacks from all sides of the spectrum. And, already, I have seen many unthinking and knee-jerk comments on social media that add nothing to the debate our our thinking about animal care, marine mammal captivity and marine parks. We all expected that. But the reason to put these stories on the record is to add to the growing wealth of information and experience that comes from people who have worked in the industry. So anyone who really wants to learn and think about marine mammal captivity, and what it is like for both animals and those who work and care for them, can now read what Jim, Cynthia and Krissy had to say. 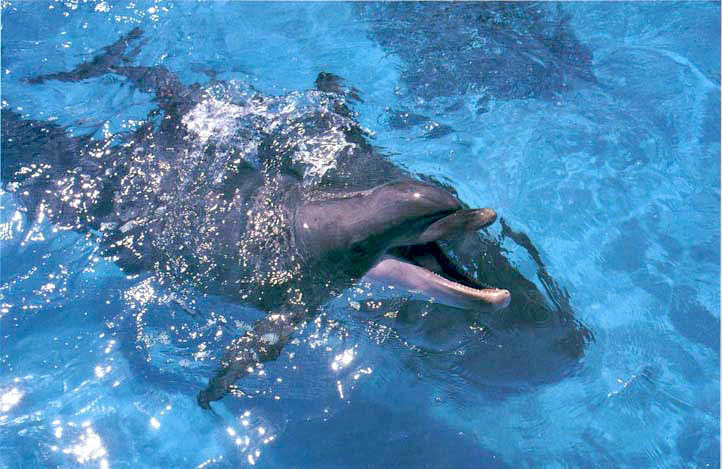 And hopefully that will help deepen, inform, and expand the post-Blackfish debate about marine mammal captivity. So I greatly appreciate the spirit Jim, Cynthia and Krissy have shown in sharing their experiences. And I hope you do too, no matter how you react to the information.